A new initiative in the trucking industry is taking shape to inform the public about trucking’s critical role in and contributions to the strength of our nation’s economy. As a partner providing the CDL Defender™ legal benefits plan to commercial drivers, U.S. Legal Services is proud to support the Trucking Moves America Forward movement. Nearly every product consumed in the U.S. is transported via truck. New technologies are making the industry more sustainable and efficient. Trucking supports nearly seven million jobs in America and 30,000 job openings are currently available for professional commercial drivers. Trucks play an essential role in local communities, providing disaster relief in the wake of destructive storms. In addition, commercial trucking is safer than it has ever been. Although the number of miles logged by large trucks increased nearly 40 percent in the decade between 2000 and 2010, the number of fatal accidents decreased by nearly 30 percent in that same time period. Although the trucking industry’s positive economic impact and safety is on the rise, it faces some challenges by policymakers at federal and state levels. Trucking Moves America Forward is designed to help inform both regulators and legislators about trucking’s essential role in American commerce and create support for policies that will help the industry grow and create even more jobs. The movement’s goal is to raise $1 million per year for five years, which will enable community outreach, employee engagement programs, grassroots advocacy and more. 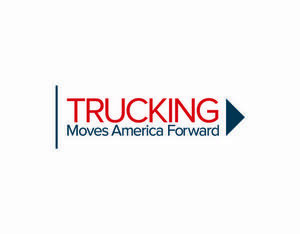 Individuals, companies or organizations interested in learning more about Trucking Moves America Forward or becoming involved in its fundraising efforts can visit the movement’s website for information.